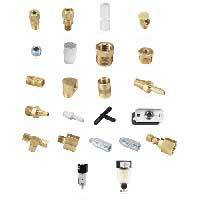 A wide variety of fittings for use with most Dwyer products. Particulate filters keep the air clean. The muffler accessory can be easily field installed to any diaphragm valve with an exhaust.